If you happen to stumble across Sokol while exploring Moscow, you’d be forgiven for thinking you’d somehow left the city. 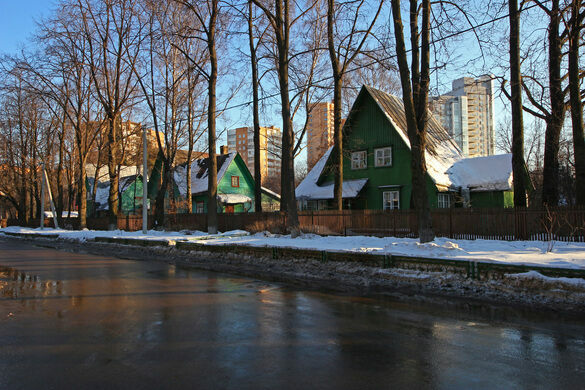 The quaint dachas (Russian country cottages) that dot the tree-lined streets make this neighborhood look more like a rural village than an urban settlement. Though its name translates to “falcon,” the village has been dubbed “artist’s village” because its streets are named for prominent painters. 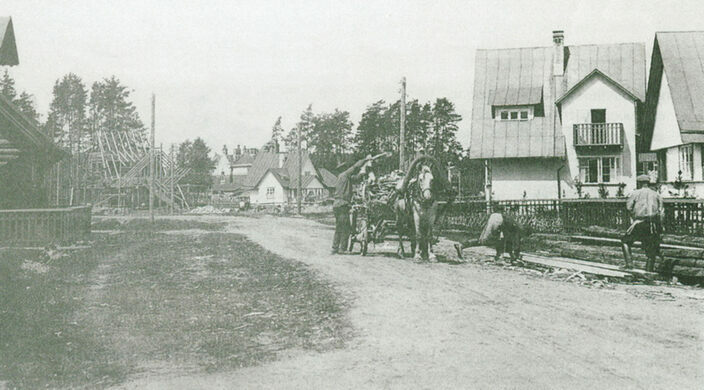 It was founded in 1923 as an example of the “city-garden” architectural concept, which aimed to combine the best features of living in the city and in the countryside. 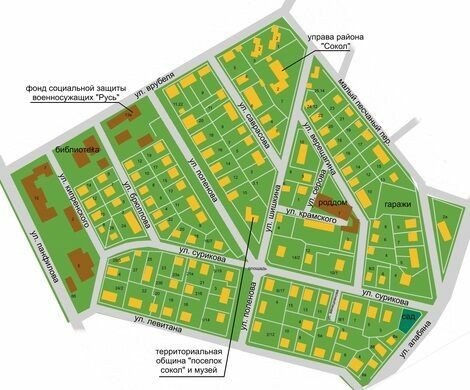 The Soviet architects responsible for Moscow’s urban planning intended to fill the city’s suburbs with such villages. The planners purposely laid diagonal streets to quiet the winds and lessen the chill they brought to the frigid winter air (indeed, when you walk along the streets of the village in cold weather, it is usually a bit warmer there than outside of the area). 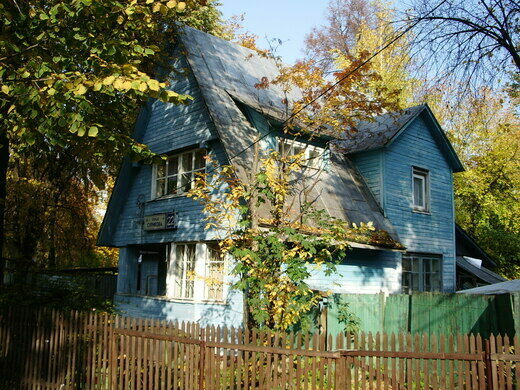 At the time Sokol was built, the array of cottages sat on the outskirts of the city, far from its center. But as Moscow expanded throughout the 20th century, towering apartment blocks encroached upon its territory until the city eventually swallowed the little village. Considering the village’s good location today, the land and the houses have become increasingly expensive. 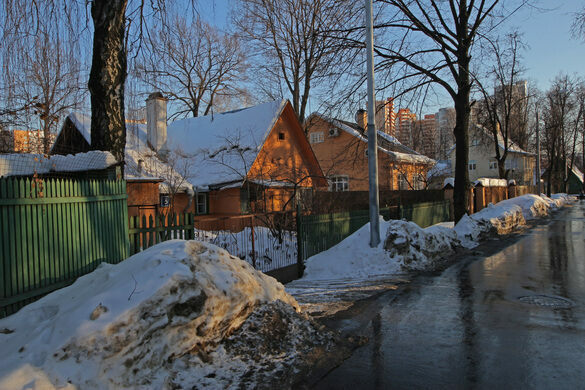 Some of the owners sold their houses for hefty amounts to millionaires who demolished the old dachas and built modern villas in their places. However, many owners have maintained the historic appearance of the houses, and quite a lot of them still look more or less the same as they did in the beginning of the 20th century. It's easily reachable via Moscow Central Circle (originally a railway along the limits of the city). Use the Panfilovskaya station. Alternatively, Sokol metro is also close. Hidden in a metro shop under a shopping mall, this small museum tells the story of one of the world's largest urban transit systems. Back in the tiny USSR. This hulking behemoth is actually five interconnected towers built in the 1960s. 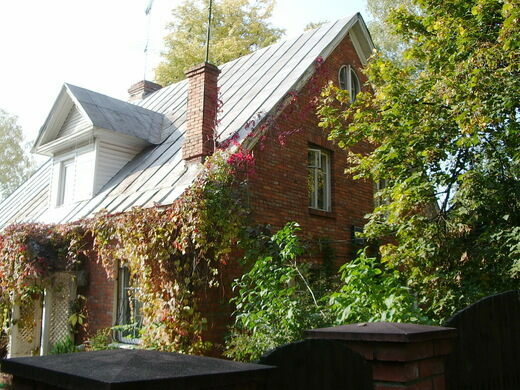 The Slovenian architect designed many landmarks in the capital city, including his own dream house.